It is a commendable accomplishment and one that has ramifications that may not be immediately obvious. 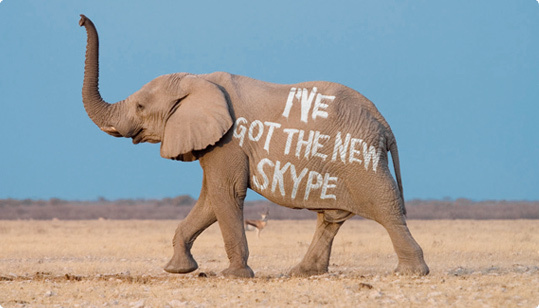 Skype has reached the 100 million user mark. I went to the company’s website to see how many downloads there have been but couldn’t find this info. Instead I found a banner announcing the 100 million user mark. Here is one of the graphics the company uses in an e-card you can send to a friend.